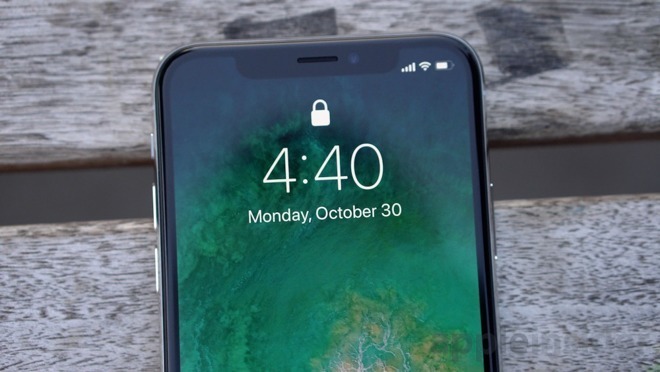 A small number of new #iPhoneX owners have been reporting that a call will sometimes come in to the device, the phone's screen will not wake and respond to a touch quick enough to answer. The Apple support forums are seeing complaints form users claiming that the phone will ring, but the phone will not wake from sleep to get the call. After about eight seconds, the phone will respond to a user tap to answer the call —but in some cases the wake-up is too late. AppleInsider confirmed the reports with sources inside the company who said that Apple was collecting data on the problem. Additionally, in our collated service data that we have been collecting since late 2016 from multiple Apple stores and service locations, there hasn't been an increase in complaints about phone call functionality over previous models suggesting a small volume of users are experiencing the problem and it is not wide-spread. It is not clear what is causing the problem. Some users report on the support forums that a restore of the software on the device fixes the problem, but it will surface at a later date. We are unable to confirm the behavior across several iPhone X units in our possession at this time, but discussions of the issue can be found on Apple's community-driven support pages , and in a report by the Financial Times. Users with multiple Apple devices can set up Calls on Other Devices in the Phone settings menu on the iPhone X to either confirm or work-around the problem if afflicted. If the option is turned on, devices sharing the same Apple ID on the same wi-fi network in close proximity will all alert the user in the event of an incoming call, with the call able to be dealt with on a satellite device.